Search engine optimization or SEO is the process of ascending to the top of non paid listing (organic) rankings of search engines. Basically it involves making your business site rank high in any search results. The number of people relying on search engines to enable them locate a suitable home improvement specialist is constantly increasing; therefore rankings will play a significant role in keeping your business afloat. As a contractor, SEO is more likely to make you close a lead (meaning more business) because SEO leads have approximately a 15% close rate compared to conventional techniques which have a close rate of 2%. Fundamentally there are three two types of SEO: Content Marketing, Google Local and Website Optimization. This is the most instantaneous advantage to contractors, which is important because search engines results play a key in determining a client’s decision in selecting your firm. Sometimes a client has to do more than one search before deciding to hire a certain contractor. Users on the internet will remember your company if it keeps appearing in search results. It won’t take long before they skip the search results and go directly to your website to view what your company has to offer. You are assured there is a representative who is fully engrossed in your brand. This is because SEO will be producing social media posts, content and establishing relationships with external websites in any marketing campaign that you carry out. You will have a better opportunity of keeping everything steady. 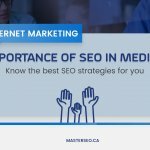 Although SEO is not free, it’s an investment that will provide you a wider reach and has a long shelf life relative to conventional marketing tools. As you increase your efforts and the authority of your website improves, you will definitely boost your site’s visibility regardless of where or when clients are looking for contractors. Bigger corporations at all times outperform smaller firms in conventional marketing strategies because they have access to more funds. Contractor SEO changes the equation; this is because if you earn a high number of clicks from superior rankings you will be able to compete with main players. Since SEO is the current staple of any advertising tactic, it means that your competitors have already taken measures to launch high rankings. Having your own SEO strategy, will ensure that you are at par or ahead of the competition in the contracting industry. As a contractor or home improvement specialist you definitely want to realize substantial returns on your investment. Although SEO doesn’t realize instant returns, as a long-term strategy it delivers. This will mean more phone calls and quotation requests for your company, which will increase the income and expansion of your business. SEO will assist a contractor to generate a quicker, even and easy to use website. A properly structured website will compel an informal visitor to linger longer and hence increase your page’s views and reduce bounce rate. SEO will provide you an opportunity of outsourcing parts of your work which has an inherent advantage. With SEO, you will find other contractors and experts to include in portions of your policy. For instance, you may mix and match a group of link builders and writers to go with your strategy. One of the biggest benefits of SEO is the fact that it is an inbound marketing plan. 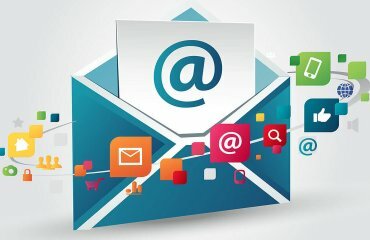 Conventional methods involve outbound channels, through which you have to reach out to your clients. These methods include channels like spam emails, colds calling and pop up ads which most clients find downright irritating. Whilst inbound marketing is client centered and involves creation of useful resources that are more accessible. Users will devote time in studying your business or gathering facts about your products on their own. This is convenient and results in better returns: marketing research has established that inbound marketing approach improves sales of contractors. A client is bound to be more receptive when he/she comes across online tips that you have published instead encountering pop up ads while surfing. The organic rankings of Google are exclusively based on what its algorithm perceives to be a query. This implies that after creating a page that is deemed worthy by a search engine, it will continue to draw traffic to your website for a long time (months or years). After making a preliminary investment, there is no further cost that you will incur to keep pulling attention to your website. SEO is not as costly as many people think. Apart from hiring a SEO expert, there are no concealed costs. Organic listings are free. After your website attains top position in search results, there is no worry of forking out more money for pay per click or incurring advertising costs. SEO will continue being versatile. SEO will make your website to load quickly and display content accurately on tablets, and other mobile devices. This will attract the attention of many visitors who will in turn become loyal clients. 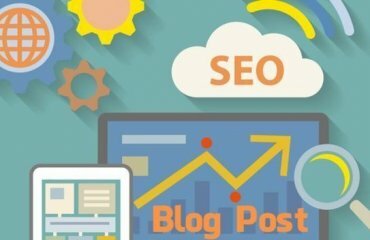 Although PR and SEO look like two different marketing tactics, they are connected by link building. A SEO discovers opportunities for publications or coverage, whilst a PR strategy is to obtain important publications. Thus once you use link building to locate new ways of presenting your brand to clients, you will effectively distribute content to potential customers. Once your byline or content becomes easy to find on your website or social media, clients will regard you as a professional. It does not matter what skills you possess, if people can’t view what your potential then you will definitely be overlooked. Once you start utilizing SEO to improve your company, you will witness a huge raise in traffic to your page. Simply put, clients will begin visiting your site the moment you use SEO. This will increase your chances of receiving reliable customers. In addition, you will enjoy the advantages of internet advertising quickly. After a short period, your sales will increase exponentially and the returns will be astonishing. Do you desire to learn more on how SEO will assist your home improvement business? In case you are prepared to begin drawing more clients towards you home improvement business then MasterSEO will assist you with your plan. 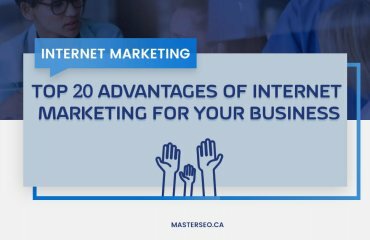 They will study the intricacies of your business, and use this information to produce a SEO strategy that is tailored for your goals and needs. Their focus is your home improvement company! Nowadays SEO for Basement Contractors & Home Renovation specialists is a crucial component of marketing strategy. It has many benefits that other digital marketing strategies lack. As a contractor it will enable you attract new clients and improve the PR of your brand also SEO works great for real estate law specialists and law firms.